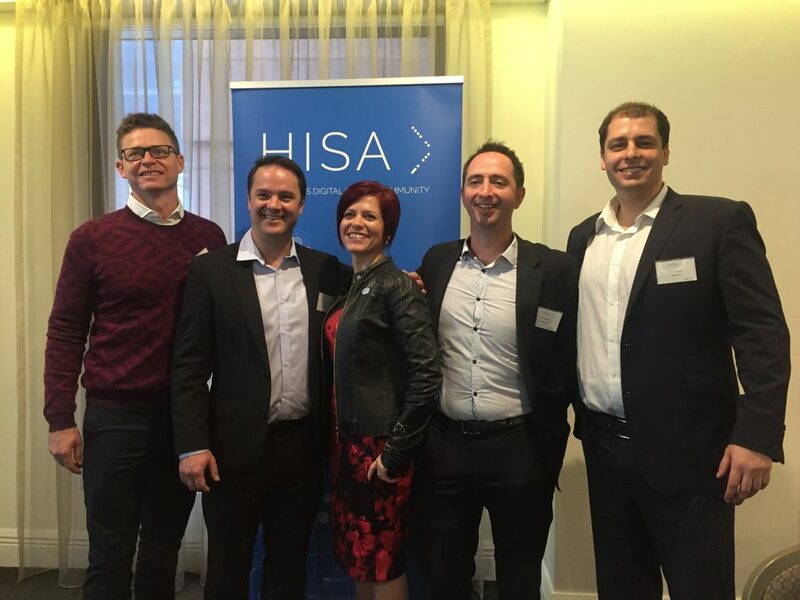 It was a full house for the HISA breakfast series in Melbourne and Brisbane when we welcomed back Dr Simon Kos, an Australian medical doctor and now Microsoft’s global Chief Medical Officer based in the US. Simon talked about emerging trends and key observations on medical and health innovation with a focus on the use of technologies such as artificial intelligence (AI), chat and medical internet of things (IoT). DoseMe CEO Charles Cornish talked about DoseMe making complex prescribing safer, how they are working with informatics and new technologies such as SMART on FHIR and their journey to become a highly successful global digital health company. Dani Arousi, Senior Executive of Healthcare Innovation & Strategy, Allscripts, spoke about the approach to reducing adverse health outcomes with their interoperability platform, dbMotion, and how a primary health network is leading change in New South Wales. (Pictured at the Melbourne breakfast, from left) Charles Cornish, DoseMe; Simon Kos, Microsoft; Dr Louise Schaper, HISA; Nic Woods, Microsoft; Dani Arousi, Allscripts. 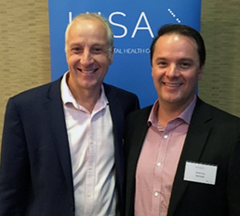 Pictured in Brisbane: HISA head of business development Greg Moran with Simon Kos.